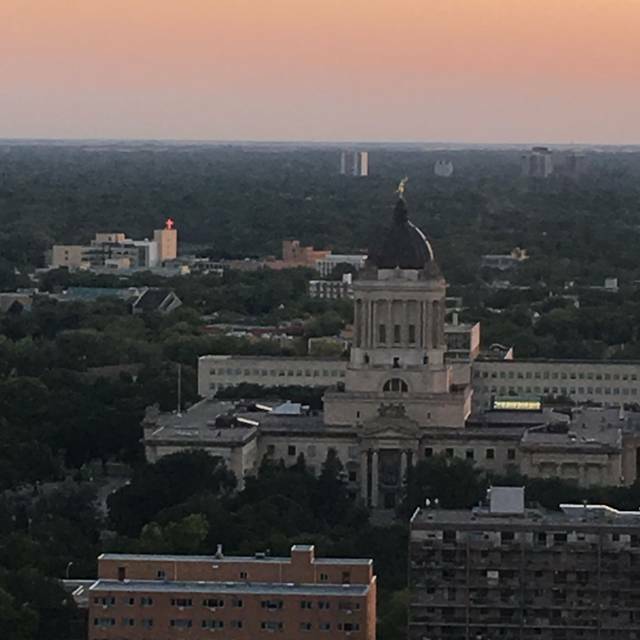 When you dine at Prairie 360, you're taking in more than just taste with a view. The fine dining experience starts in the glass elevator travelling 28 floors up. You're greeted by a friendly hostess, and then escorted to your table on the 30th floor. The ambience is exclusive to our restaurant; a second to none view, cordial & experienced staff, attention to detail, and thoroughly prepared dishes. 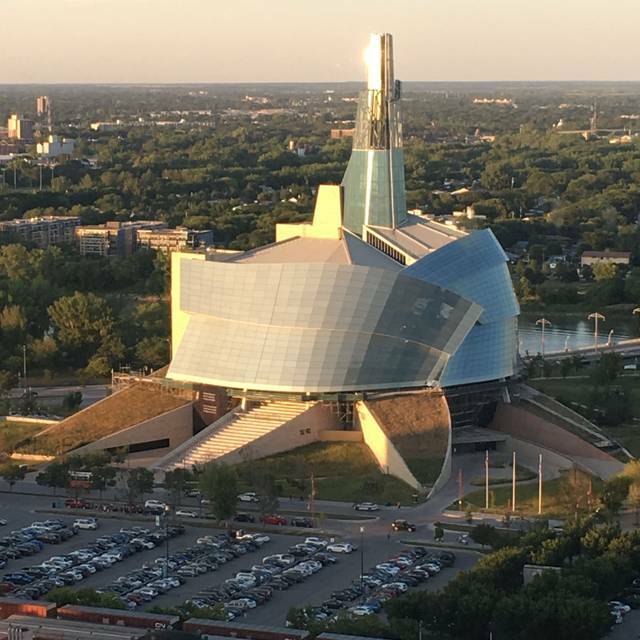 Most restaurants are a meal, Prairie 360 is a fine dining experience above the rest. over all it was a great experience! parking was easy in the parkade and the ticket is paid for. The view was amazing! And considering the location and everything the food was reasonably priced and good! We had duck and salmon and both were great! The buffet was good and the ambiance was very good. 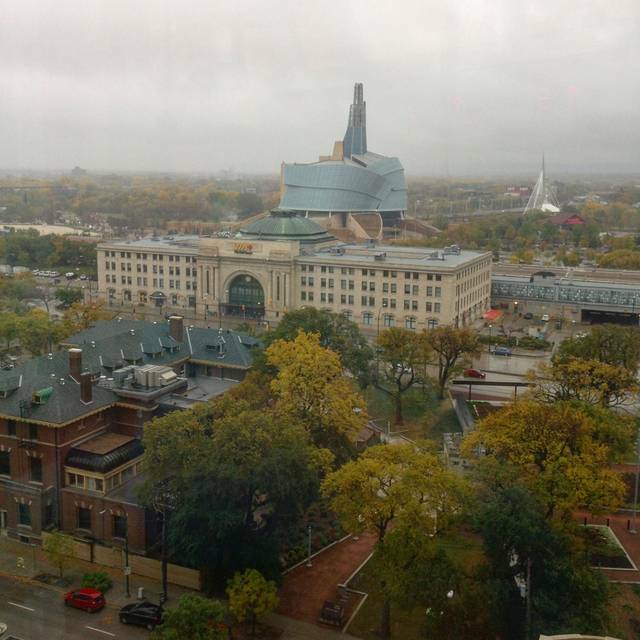 Great way to see Winnipeg. Disappointed that the gratuity is automatically added to the bill. Gratuity should be at the discretion of the patron. The price structure for children needs to be reviewed, especially between 12 years and 13 years of age. Will be going back again, and again!! The view is great especially if you time it to catch the sunset. Service was good but food was pretty lackluster, with the exception of the charcuterie board which was great. They're charging premium prices for food that isn't that good. Bathroom was filthy and out of paper towels. I mentioned it to one of the staff and he just smirked and said "yeah, thanks" and did nothing about it. I'll go back another time and see if they meet my expectations before I write it off. If you want to spend $150 on dinner and drinks for two and get your money's worth, you'd be better off going to Rae and Jerry's. Looking forward to going there again, very lovely food, awesome staff , great location. Love the view from here! Brunch was fantastic. Lots of great choices. I found the restaurant a bit warm for my liking. The bathroom was warmer and a bit stuffy. Serving staff was attentive and knowledgeable in the food ingredients, as one person in my group has food allergies. Definitely will be returning. I recommend the sweet table be placed away from the beef and ham table .As a vegetarian this would be more appealing . 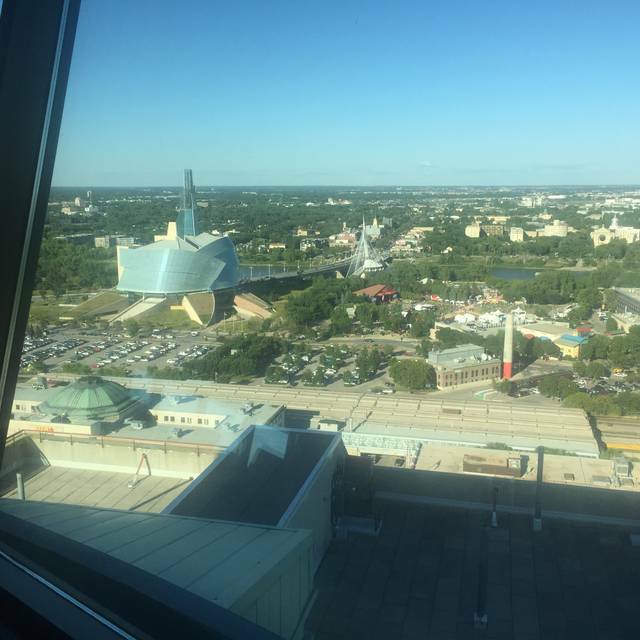 I was hesitant to come to Prairie 360 as I had heard some negative reviews from friends. But these were based on regular meal times. Our brunch on April 7th was superb. It was an extravagant expense for us. We were taking our daughter, her husband and their 2 children out for my 63rd birthday. We had saved the money and arrived very excited. Rowan was an excellent server who remained attentive and yet discreet. She was helpful and intentional in all of her service. The food was awesome. Start to finish, awesome. Hot, appetizing, generous, and met each of our dietary & personal desires. Thank you SO SO much. It was purely delightful. I loved the place, first time to dine in with my family yesterday! Awesome food and great service. Will recommend it with my friends. Great for a special dinner as a treat. Quality of food is high. Three of us shared the 48 oz Ribeye steak and it was amazing! Staff was very friendly and quick to take away used plates and refills of our drinks. Though the price of the brunch won’t make me a regular visitor, the quality and selection of the food was amazing and it was the best brunch I’ve ever had in the city I was born and raised. I will highly recommend Prairie 360’s brunch to my family and friends! It was a birthday treat for my husband when we were there on a Sunday brunch. Food was great and service was outstanding. Management should consider to add more fruits and bread so customers can have more choices. Lowering the price especially for teens can attract more customers. It was a great experience to be at the 30th floor overlooking the City. Definitely, we will be coming back and, hopefully, we will be with my brother and his family. A very nice evening out with overseas guests. Service was prompt without being overbearing. Ordered a variety of appetizers and entrees and all were visually appealing, hot, and delicious. Would definitely return even for a non-special occasion. Great view as a novelty. The menu is not varied and the food quality isn't great. This was my second visit! The first time was for our 5th wedding anniversary!! This time we wanted to take the kids just for a beautiful dinner all dressed up! It takes 75 min for the restaurant to do a full revolution which is exact time we had for dinner then desert, it works out perfect! 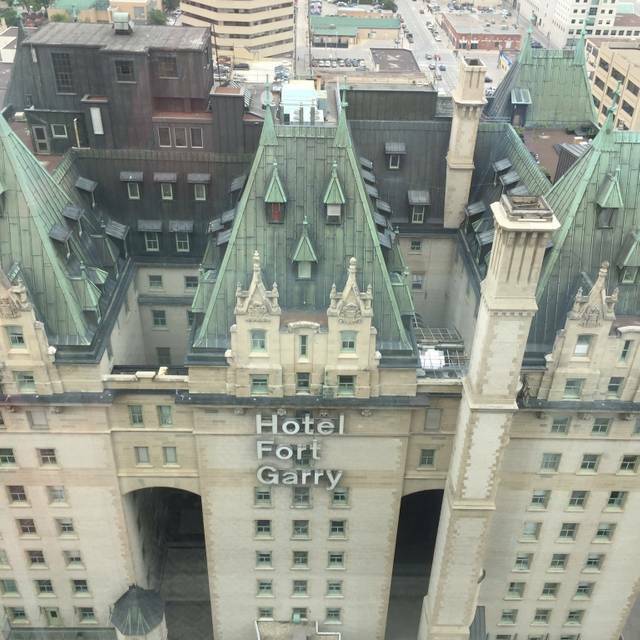 You get to see all of Winnipeg from I believe 30 floors up while enjoying amazing food, served by amazing people!! Looking forward to the next visit already!! When we first arrived there was a large group with 4-5 kids whom were very load like I thought we were in the mall eatery. I could barely hear my date. They soon left and it was a great experience of food atmosphere and ambience. The waitress heard us when I indicated it was loud. She was sympathetic and topped up drinks. Great gesture great service. Would go again. Awesome restaurant and probably the best view in town. Incomparable experience. A bit disappointed with the limited menu options and there's nothing unique. Food is great, but you can get the same thing anywhere else for a better price. 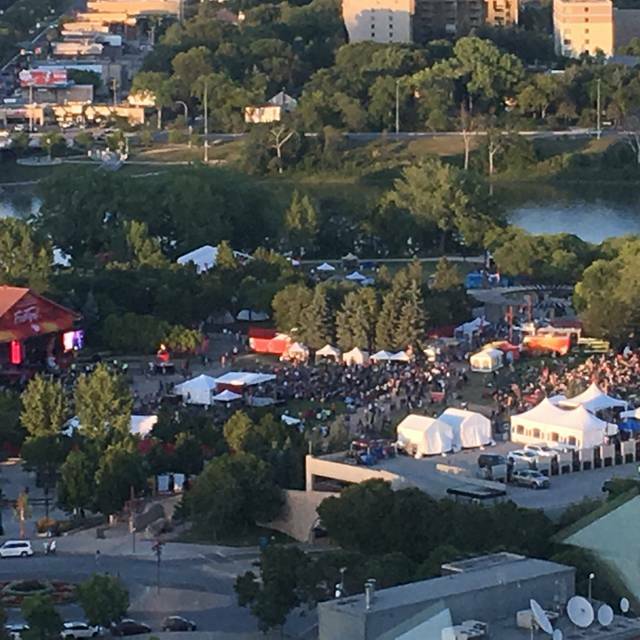 But what you're looking is ambiance there's no better place in Winnipeg! The service was excellent, and we had a very good meal. I had the ribeye, and it was cooked perfectly. Like others have commented, the food arrived warm rather than hot. 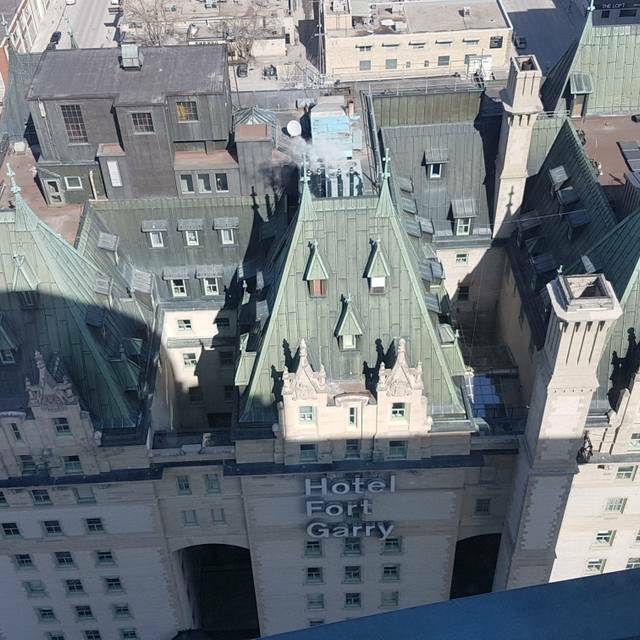 I wouldn't say it had a unique taste, so if I were choosing between a good steak at ground level or at 28 storeys, I'd take the latter. 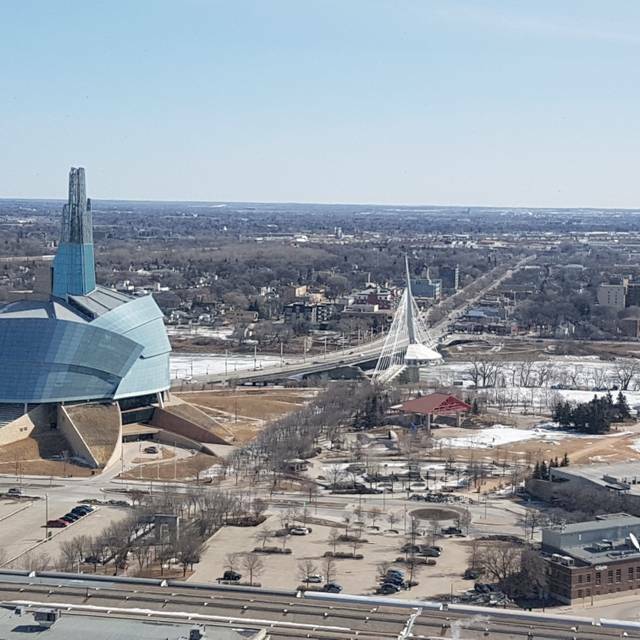 The views nice, its cool to see wpg from a birds eye view. The foods good, the prices are higher which is to be expected. My problem was the spinning, the very SLOW spinning, I hear the building spins at 1 revolution per hour which kind of ruined the meal for me. I could go to other places and get the same value for food and not feel like I came off from the tea cup ride. I can say to other people to try and eat here but personally I'm not interested in coming back. Service was not the greatest. We had to sit in a secluded area no where near windows to stare at empty seats that were along the windows. I am not one to pay $100 for brunch just stare at the rotating bathrooms. Hostess said tables were reserved (I also made a reservation) and while we were there for over an hour not one person sat at those seats. Some of the food was undercooked and quite frankly was not worth the money. I’ve usually had great experiences here, but this really bothered me and I doubt I’ll be back. As I've mentioned in my previous reviews of this restaurant, the pricing of the Sunday Brunch Buffet for seniors makes it a satisfactory valued occasion. The food offerings are improving and the service received is acceptable. 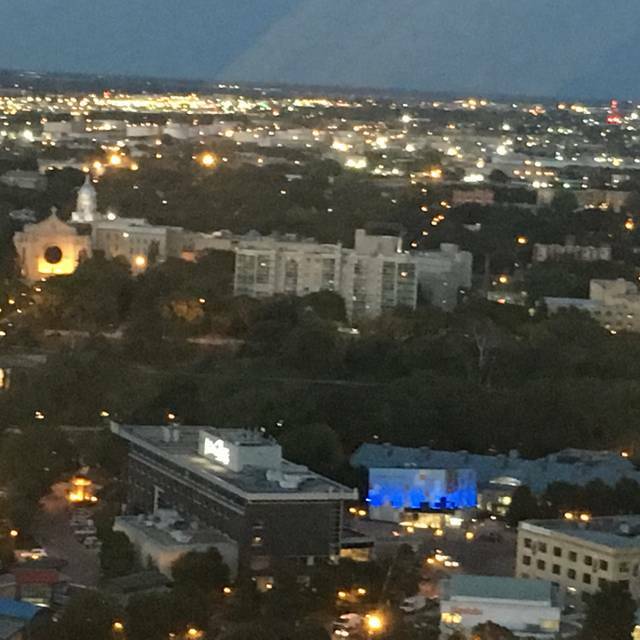 The only reason I would recommend restaurant is for the view. The food was subpar for a restaurant of this value. Its time for a new chief. Embarrassingly bad food, feel sorry for the wait staff to have to serve food of that quality. mushroom risssoto was undercooked and tasted burnt, rack of lamb was under seasoned and seemed as if it went from a package to the oven. Meatballs tasted like old burnt meat ground up. Korean chicken wings seemed to be the lowest quality wings available coupled with plain kimchi pickling juice. Beautiful restaurant, food was phenomenal, the view was amazing. I'd like to thank the servers for making our visit so comfortable. Will definitely book more in the future. Terrific Sunday brunch! Definitely go back! Food was varied and top quality! Service was friendly and consistent. Server was always around to serve coffee, water and drinks. Staff made experience enjoyable by indulging in conversations. The view was terrific. Our waiter was very welcoming and friendly and was well mannered. He had plenty of conversation with us and made us feel comfortable. Thank you. Food was good, the view was great. I had the duck and it was quite tasty. Took a long time to get seated, which is why I've downgraded the service a bit. When we did get served, staff was very friendly and obliging. Food was excellent - far better than I remember it from the past. The view was, of course, was incomparable and entrancing for my 4 year old granddaughter. My boyfriend took me out for a birthday lunch. Our table was only half-set; the only cutlery I had on my side was a knife and a spoon lying haphazardly on the table. I think they were clean but I didn’t use them. We didn’t realize that on Sundays at 1:30 they serve a buffet (that was our fault for not reading) but the whole atmosphere was mildly unsettling. Our server was very nice though and once my boyfriend went hunting for cutlery it was provided. Opened 15 minutes late for service. Bacon was all but raw and so inedible. Service personnel were very nice and efficient. Gave up trying to get an omelette as they were being cooked one at a time and it was taking forever. Would be nice if there were eggs Benedict available. If not, then please the number of omelettes that can be made simultaneously. The scrambled eggs were cold and were discoloured on the bottom. The bacon could have been cooked more and more crispy. The waitress was friendly and efficient. The noise level was quite high even though the restaurant wasn't crowded. Overall, a pleasant experience. This restaurant has a wonderful view and that is great. However the Sunday Brunch food is a very poor value. Mediocre sausages, under-cooked bacon, over-cooked scrambled eggs. No jam, no whipped cream. Desserts were OK but ordinary. Croissants were good but they could use some other choices. Overall, I will not go back for Brunch but might try a lunch just for the view.